Home LITERATURE REVIEW The Kindness Of Enemies By Leila Aboulela Summary, Pdf, Themes & Characters. 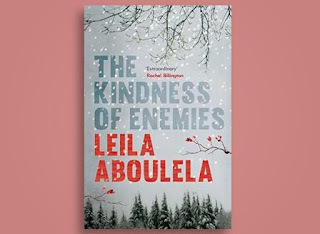 The Kindness Of Enemies By Leila Aboulela Summary, Pdf, Themes & Characters. The winner of the very first Caine Prize for African writing in 2000, Leila Aboulela is always briskly readable, but her intimate stories also have a depth and weight to them that stays with you long after you’ve put the book down. And though there is no shortage of secular writers writing about religion, Aboulela is the rare reverse, a novelist whose deep Muslim faith animates her explorations of Islamic identity in the secular world. Each chapter of The Kindness of Enemies begins in present-day Scotland—where a history professor must grapple with how to respond to a student of hers, she has been told, who has become “radicalized”—before moving back into the 1850s, where we get the story of her student’s ancestor, the Imam Shamil, whose 30-year campaign against the expanding Russian empire stands as one of the most successful military jihads in history. But as with all of Aboulela’s novels, her focus is essentially intimate, the story of small lives and loves; against the backdrop of war and empire, Aboulela’s eye is on human stories about lost faith and lost children, some of which are sometimes found again. An argument, a thesis we might call it, emerges slowly over the course of Leila Aboulela's novel The Kindness of Enemies. But it is not a preachy book, instead making its argument through an engaging story that covers centuries and continents. The Kindness of Enemies braids together four narratives: one in modern-day Scotland and three in nineteenth-century Russia and the Caucasus. The stories overlap thematically, informing and building on each other until a larger picture emerges: a picture of what it is like to live in exile and to wonder where one's true home lies. Natasha is at the center of the Scottish portions of the story: she has a Sudanese father and Russian mother and an uneasy relationship to her Muslim heritage. As a professor of history, she researches the life of Imam Shamil, a nineteenth-century Muslim leader fighting against the Russians in the Caucasian War. Among her students is a descendent of Shamil named Oz, short for Osama, a name he wishes to avoid. The nineteenth-century sections of the novel tell Shamil's story, as well as the stories of Anna, a Georgian princess captured by Shamil's men, and that of Jamaleldin, Shamil's son, given over to the Russians as part of a peace treaty. Too quickly, too easily; gently, politely they pushed me back into the old roles. On cue, my skin flared in their presence, it became more prominent than what I was saying; and I was now an impostor asking for attention, a troublesome guest taking up space. Nearly a century and a half earlier, Jamaleldin and Anna have similar experiences. Jamaleldin grows up in Russia, but knows he is a Muslim from a remote region and therefore will never really belong, even though he volunteers to fight for the Russians in the Caucasus and hopes to help bring peace to the region. After he slips and says a word in his native language, he laments the divisions within himself and envies the Russians, whose lives seem so much simpler: "He yearned towards the steady ground under their feet and their one-dimensional vision. He wanted to be them and he was tired of this wanting." Anna is similarly divided. She feels a strong loyalty to Georgia, but her grandfather, a Georgian king, ceded his country to Russia. Now her husband, also Georgian, wants to claim a Russian identity and is impatient with her doubts and hesitations. She wants the same singularity of identity Jamaleldin longs for, taking the form, in her case, of the dream of an independent Georgia: "[Shamil] had picked out one nebulous desire and given it a name. The throne back to Georgia, as it should be. Georgia free and autonomous, as it should be. And she would be the one to make this happen." These characters long for a more unified, stable existence and a place that is unambiguously home. But they also show strength and resourcefulness in their struggles to adapt, as though the consolation for their outsider status is depth of insight and character. Oz's story is more complicated. After his online research into subjects deemed dangerous -- especially by someone named Osama -- he gets arrested and taken into custody. All of his scholarly interest in the history of jihad only turns him into a terrorist in the eyes of the police. Even Natasha and Malak, sympathetic toward Oz as they are, wonder if they can really trust him. He is the character most shaken by his precarious position, most uncertain and vulnerable. Although this is not the direction his life takes, he shows how people who are treated with suspicion and presumed to be criminals can decide it might make sense to live up to that reputation. An early debate among Natasha, Oz, and Malak about the definition of jihad signals one of the novel's central concerns: what it means to be an enemy. Malak argues that jihad is a spiritual pursuit and that the days of jihad are over: "Listen Oz, the door of jihad is closed. Jihad needs an imam and there is no imam now. Jihad is for upholding the values of Allah; it's not for scoring political points, it's not for land, it's not for rights, it's not for autonomy." She argues that Shamil as a jihadist was fighting only for defensive reasons, so that Muslims could continue their way of life instead of being invaded by the Russians and Christianized. Oz, however, argues that jihad is "for getting us power over our enemies. [It] is not something we should be ashamed of." He wants to see Shamil as an aggressive warrior instead of a more passive defender of the faith. No wonder that the founders of Political Islam, those revolutionary elite who turned their backs on tradition and worked towards a perfect society, never took Shamil as a role model. Al-Qaeda was a modern phenomenon, with no patience for Shamil's traditional spirituality and utter contempt for the choices he made at the end of his career. Those end-of-career choices show a movement toward spiritual maturity and understanding, a mindset, Aboulela argues, we would do well to learn from today. 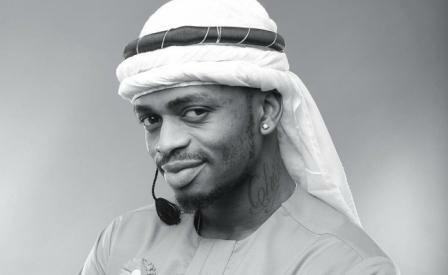 Even though he is a flawed figure in many ways, Shamil should perhaps be a role model to follow. The Kindness of Enemies can sometimes veer toward the pedestrian in its prose ("'Ever since 9/11, jihad has become synonymous with terrorism,' she said."). Capturing two continents across two centuries in less than 350 pages is no easy task and occasionally the effort shows. But Aboulela conjures up the various worlds of the novel, and particularly that of the Caucasus, in vivid detail. Anna and Jamaleldin are characters who linger in the mind. A great strength of the book is its ability to tell an absorbing story about what so many people have experienced: uncertainty about one's identity, one's place in the world, and one's true home. These are some of the most pressing questions of our time, and Aboulela does us a great service by exploring these questions with sensitivity and compassion.